* Mariell's gorgeous 30" Waist Length Mantilla style Wedding Veil has 3 3/4" w embroidered lace edging. * The scalloped lace is adorned with Crystals, sequins, silver bugle bead & delicate silver chain. 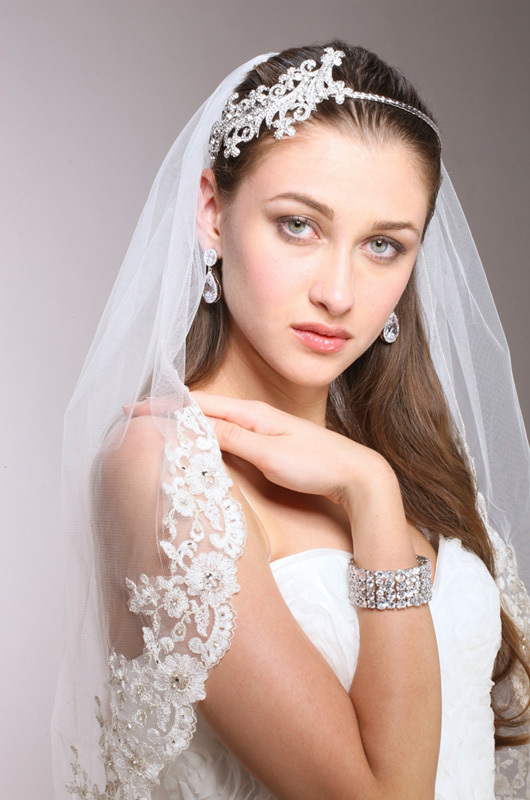 * This bridal veil will illuminate your wedding wardrobe! * This magnificent 1-Layer top selling Waist Length Mantilla Wedding Veil by Mariell has a stunning scalloped lace edging with intricate embroidery. * The floral mantilla veil is adorned with Genuine crystals and is accented by sequins, bugle beads, seed beads & delicate silver chain. 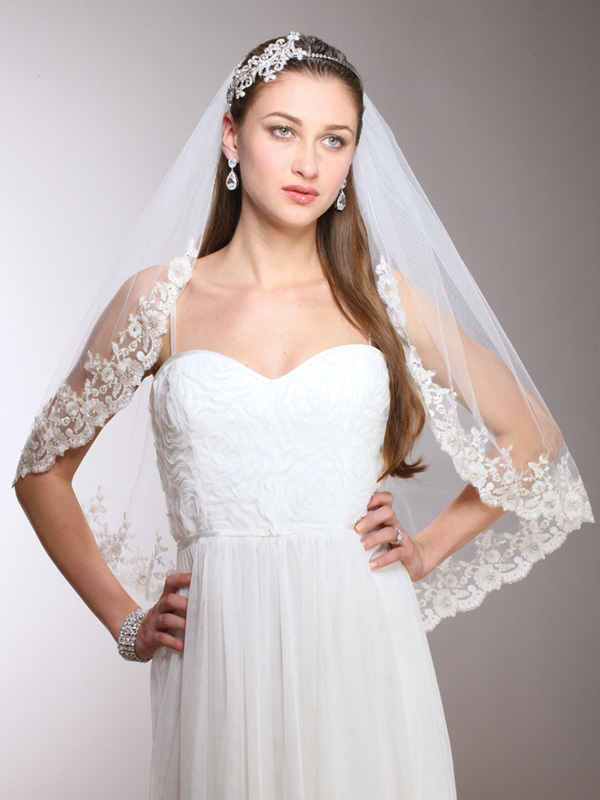 * Add this impressive mantilla to your store's veil display today! * This veil is offered in both Ivory/Silver and White/Silver.